Running a business is a public act. That’s why I don’t understand why some VPN providers go to such great lengths to keep the identities of their leaders private. Today’s review looks at one such company, ExpressVPN. Business anonymity is an issue we’ll get into in more depth in the trust section. For now, let’s dive into the app. ExpressVPN uses a very simple single-panel interface. It doesn’t have a map you can click on or anything like that. All you have is a simple on/off button that takes up the majority of the panel. Under that is a suggested VPN server to connect to and then two buttons: Smart Location and Choose Location. Click the former and ExpressVPN will choose a server for you based on your location. Note: This review is part of our best VPNs of 2017 roundup. Go there for details about competing products and how we tested them. ExpressVPN’s primary interface, and the server selection window. 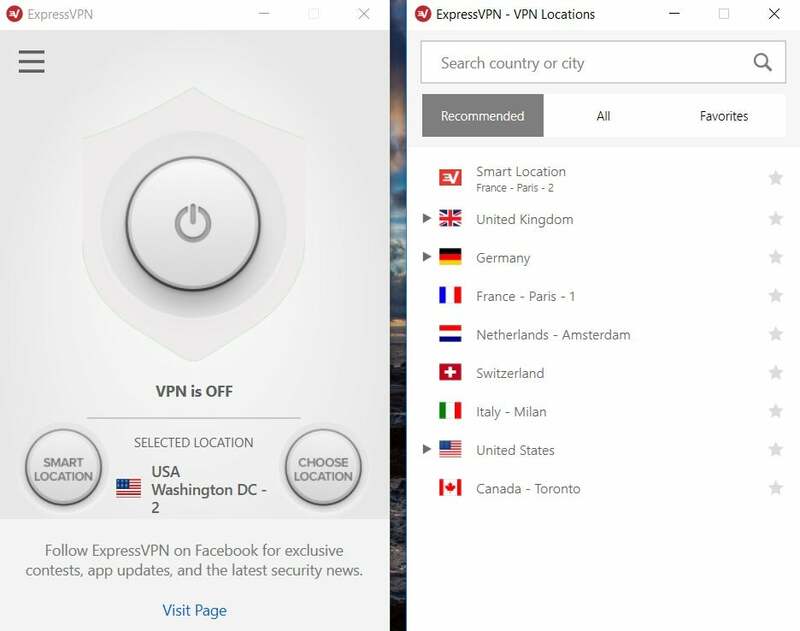 Click the latter and a second window appears listing all of ExpressVPN’s server locations. This second window has three tabs. The first is the Recommended tab that lists the top-performing servers on ExpressVPN. The All tab lists all of the possible server connections, and then the Favorites tab lists any locations you’ve bookmarked. That’s the bulk of ExpressVPN’s app. There’s also a settings window—ExpressVPN calls it Options—under a “hamburger” menu icon in the upper-left corner. The Options window borrows heavily from the classic OS X icons, which is a little odd on Windows but acceptable. There aren’t a ton of options here. 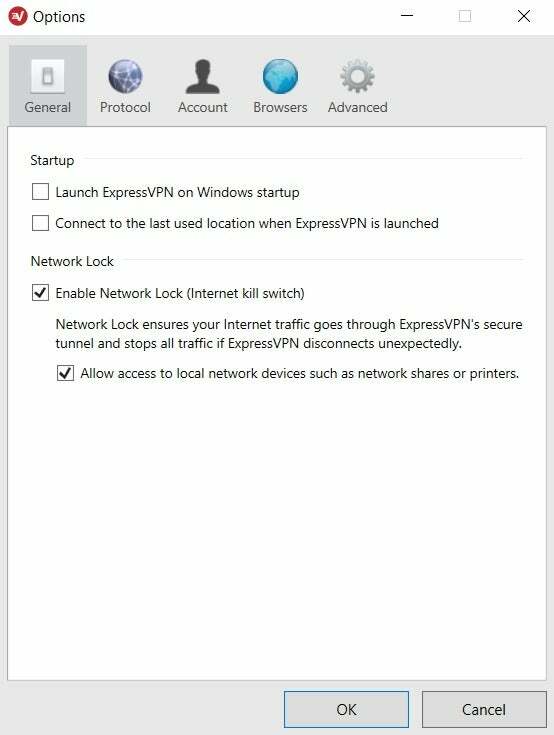 You can decide whether you want ExpressVPN to launch at boot, enable or disable ExpressVPN’s Internet Kill Switch, and specify which VPN protocol you’d like to use such as OpenVPN, L2TP, PPTP, and so on. Most users should leave that final option set to automatic. One last option that’s underneath the menu icon is a built-in speed test that lets you judge the speeds of specific country servers. The top point to note is that ExpressVPN is one of those companies that’s going to battle with Netflix. In my tests, you could access U.S. Netflix using ExpressVPN. The company says you can use any U.S. server to connect, and it also asks customers to contact them if they have trouble using Netflix with any of ExpressVPN’s servers. ExpressVPN is expensive, but it does cover a very broad range of devices. It has a native Linux app, for example, which is not common. It also has apps for Mac, Android, iOS, as well as browser extensions for Chrome, Firefox, and Safari. Those browser extensions are also interesting. Typically, VPN services uses their extensions to supply proxy server connections, which offers some of the benefits of a VPN but only for the browser that’s using it. 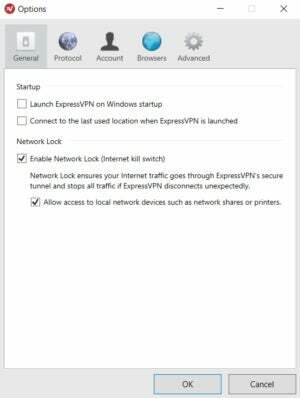 Instead of a proxy, ExpressVPN extensions control the desktop program. That’s an easy way to jump on the VPN without leaving your browser. Unfortunately, however, that means the Chrome extension can’t be used as a proxy on Chrome OS. 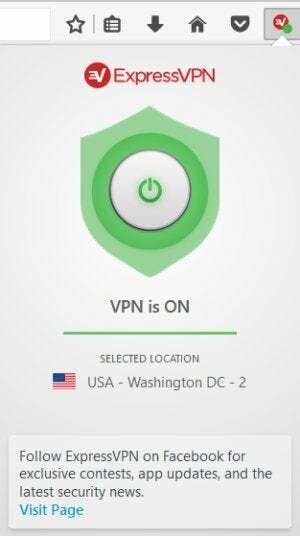 You can use ExpressVPN with Chrome OS’s built-in VPN client, or the Android app for Chromebooks that currently support the Play Store. As with other VPNs, ExpressVPN supports routers, and it also has a special service called MediaStreamer that allows you to watch U.S. Netflix on an Apple TV, consoles, and other set-top boxes. That’s a really great service for those who live outside of the U.S.—especially expats who want to watch the same stuff their friends are watching back home. MediaStreamer doesn’t protect your browsing like a VPN does, however. Instead it’s a Dynamic Domain Name System (DDNS) service that gets around location blocking. It’s a little involved to set up (you can read about it on the ExpressVPN website), but it’s nothing an average computer user couldn’t get going within 5 to 10 minutes. 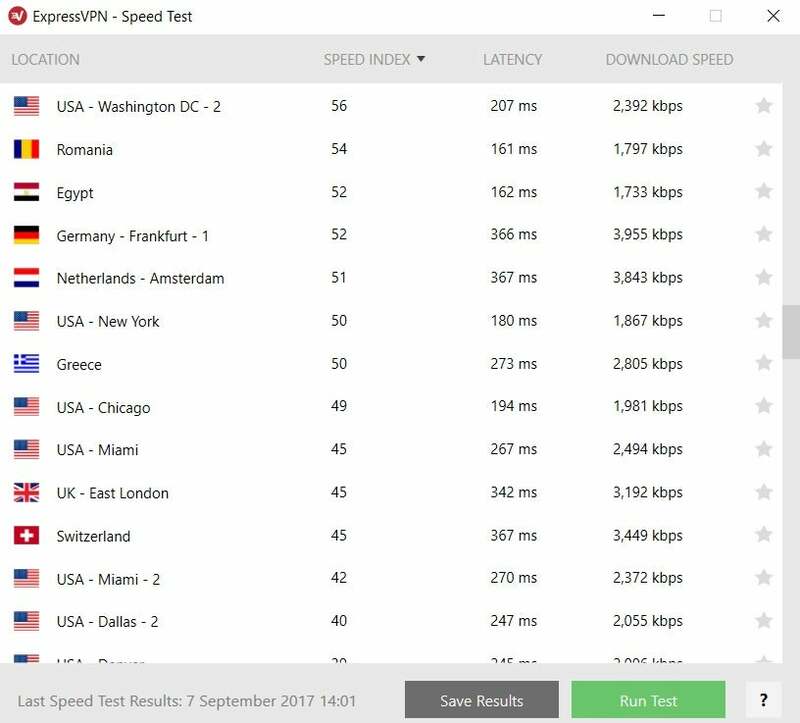 ExpressVPN had really good speeds in the U.S. and UK, hitting 40Mbps on my test connection. That’s not as high as the current U.S. and UK speed champ, IVPN, but it’s still pretty good. Overall ExpressVPN’s speeds based on connections to the U.S., UK, Germany, Australia, and Japan earned 30.92 percent of the base speed. That’s not bad. The worst performer was Australia—common among VPNs—while Japan actually wasn’t too terrible at around 15Mbps. That’s more than enough to stream 1080p video and carry out most actions online without an excruciating delay. ExpressVPN uses about 29 virtual servers, which means these are servers that claim to be in one country such as Malta, while they are actually in another. Similar to PureVPN, ExpressVPN says it uses virtual servers in certain locations due to infrastructure issues. The idea is to offer certain country connections, while still providing acceptable speeds. You can find a complete list of ExpressVPN’s virtual and physical server locations on its website. Here’s the thing about ExpressVPN: It does’t pass the dolphin test. Humorous reference aside, it gets to an important point: You should know who is running your VPN since they are handling traffic you want to keep private. ExpressVPN simply doesn’t provide enough information about who they are. When you search for ExpressVPN’s mailing address all you can find is that the company is located in Road Town on the island of Tortola in the British Virgin Islands. No street address is available. That’s an argument we’ve heard before, but I can point to many VPN providers that are public about who they are and exactly where they are—even among those that allow torrents on their networks. I suppose it might be seen as ironic or unfair to ask VPN providers to unmask themselves, but I disagree. A person’s private web browsing habits, political views, and even the books they borrow from the library deserve to be private. But running a consumer-facing business is not a private act and comes with a different set of expectations. That’s not to say ExpressVPN should be compelled by law to reveal more information about their team, but the founders and the CEO should stand up and be counted for the sake of user trust. All I can tell you for sure is that the company is legally based in the capital of the British Virgin Islands, the company’s vice president is Harold Li, and the communications manager is David Lang. Li told me ExpressVPN’s team is distributed throughout the world, which is not uncommon. ExpressVPN has a no-logging policy for your web browsing habits, with clear and easy-to-understand details set out in the privacy statement. 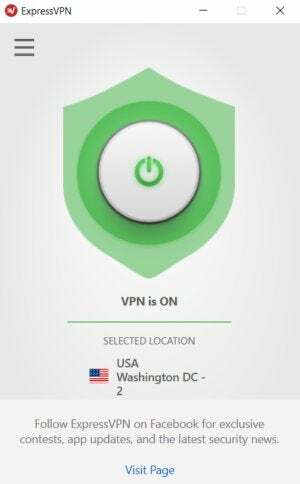 The company does store some information, however, including the ExpressVPN app version you use, crash reports that users can opt out of, your name and email address when you sign-up for the service, when you make a successful connection, the originating country or ISP of your connection (not your actual IP address), the VPN location you connect to, the amount of data you use on the VPN, and the date this connection happened. The time and duration of your VPN activity is not logged. That’s a so-so policy. It’s not great for privacy, but it’s not the worst we’ve seen either. When you sign-up for ExpressVPN it requires a name and email address—both of which can be pseudonymous if you prefer. For payment you can select a variety of options based on the amount of anonymity and privacy you’re comfortable with including credit cards, PayPal, Bitcoin, and a variety of other options. ExpressVPN’s performance is great. There are some nice extras that people might appreciate like the browser extensions that control the desktop app, and the MediaStreamer service. The speeds are very good in most North American and European locations, and ExpressVPN is upfront about its use of virtual servers. But the secrecy behind who runs the company and where they are is disappointing. Offically registering these companies in exotic offshore locations may be a smart business and marketing strategy, but hiding who you are is not how you build trust with customers. That said, ExpressVPN has been around for nearly a decade now, and its customers do appear to be happy with the service. * ExpressVPN uses virtual servers. Twenty-nine of its country locations are not physically located where they appear to be.